When we think of The Beatles, the first place that comes to mind is Liverpool, the birthplace and original stomping ground of the Fab Four. John, Paul, George and Ringo have trodden the cobbles of Mathew Street, played to thousands of fans in the Cavern Cub and propped up the bar in many of Liverpool’s best pubs. The celebrated city that resides in the North West of England is the ultimate mecca for Beatles enthusiasts with fans travelling across the world to experience the thrill of the city that The Beatles call home. Home to Strawberry Fields, a garden bought by Yoko Ono to celebrate the life of John Lennon. 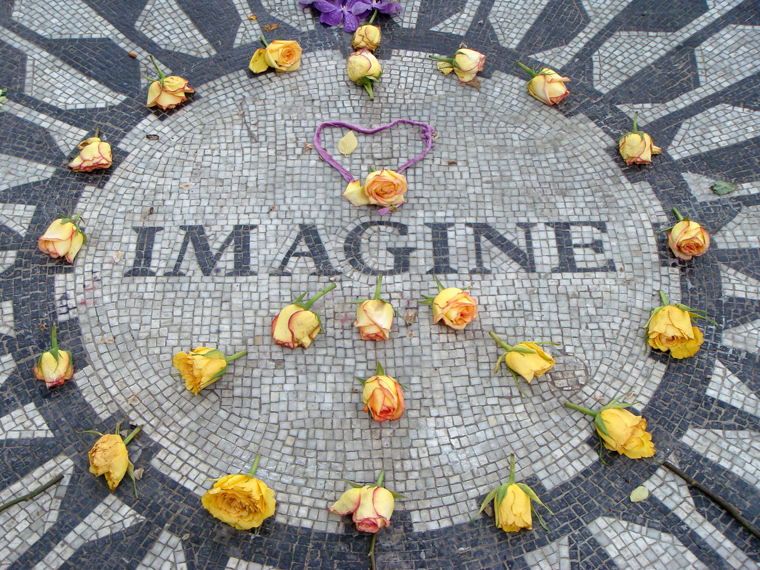 It is home to the famous ‘Imagine’ memorial mosaic where fans often leave flowers and light candles to pay respect to John Lennon. Just around the corner fans can find the Dakota building, the site where John Lennon was fatally shot in 1980. 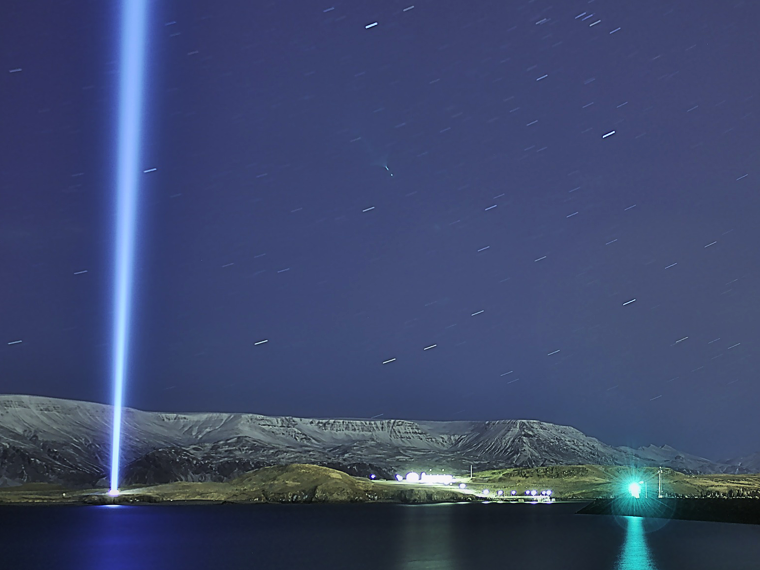 Located in Viðey Island near Reykjavîk, Iceland, the 'Imagine Peace Tower' lights up the Icelandic sky every year from October 9th (John Lennon’s birthday) to December 8th, the day he died. ‘Imagine Peace’ is carved into the base of the tower in 24 different languages in reference to Lennon’s campaign for world peace. The Beatles regularly performed in Hamburg during the period from August 1960 to December 1962 at clubs such as the Indra, Kaiserkeller, the Top Ten and the Star-Club. It was a chapter in the group's history which honed their performance skills, widened their reputation, and led to their first recording, bringing them to the attention of Brian Epstein. 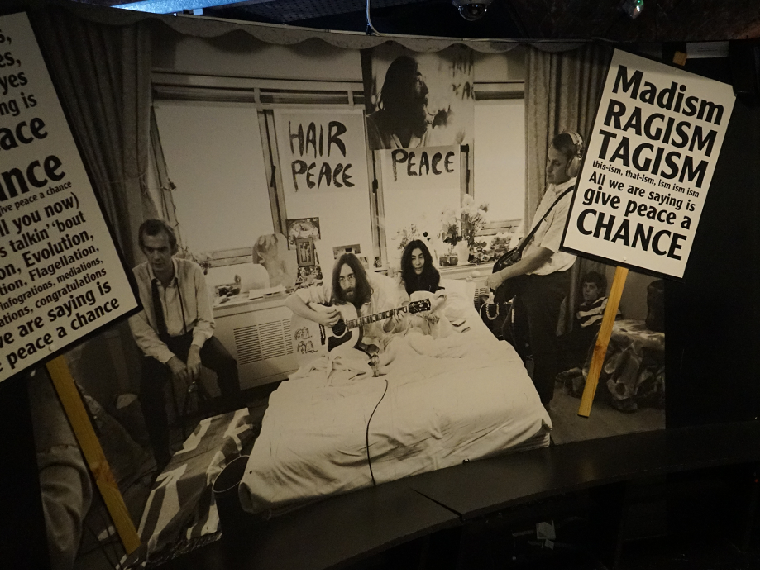 Amsterdam is home to the famous Hilton hotel where John Lennon and Yoko Ono held their Bed-In for peace. The Beatles’ guru Maharishi Mahesh Yogi spent a lot of time in the Dutch capital, partially in his later years, passing away in Vlodrop, Netherlands in 1980 having moved his headquarters to the area. 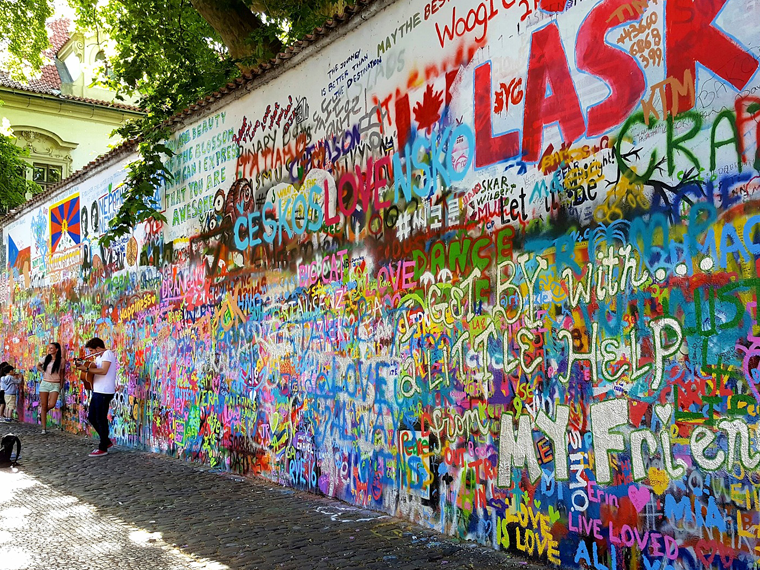 Since the 1980s, Prague in the Czech Republic has been celebrating The Beatles with the 'John Lennon Wall.' In the side streets of the city, a large wall is adorned with ever changing graffiti in the form of Beatles lyrics and tributes from fans. Usually accompanied by a guitarist performing Beatles classics, roaming the streets of Prague for this is a joy for the eyes and ears. 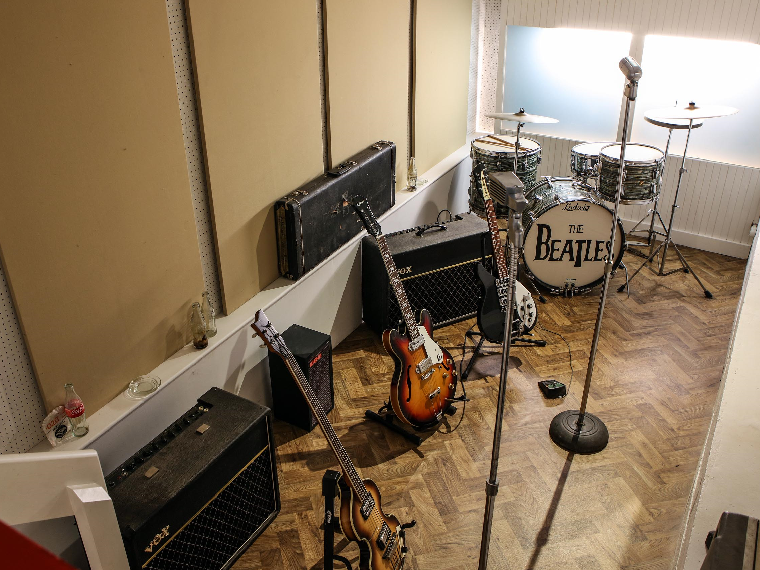 A stone’s throw away from Liverpool, London, is home to many a Beatles landmark, however, the most notable is Abbey Road Studios, the place where The Beatles spent a lot of time recording and in 1969 named their 11th album after. The famous photo for the ‘Abbey Road’ album cover was taken on the zebra crossing outside the building and has become a top destination to visit for Beatles fans as they dodge traffic to grab a photo on the well-known crossing. 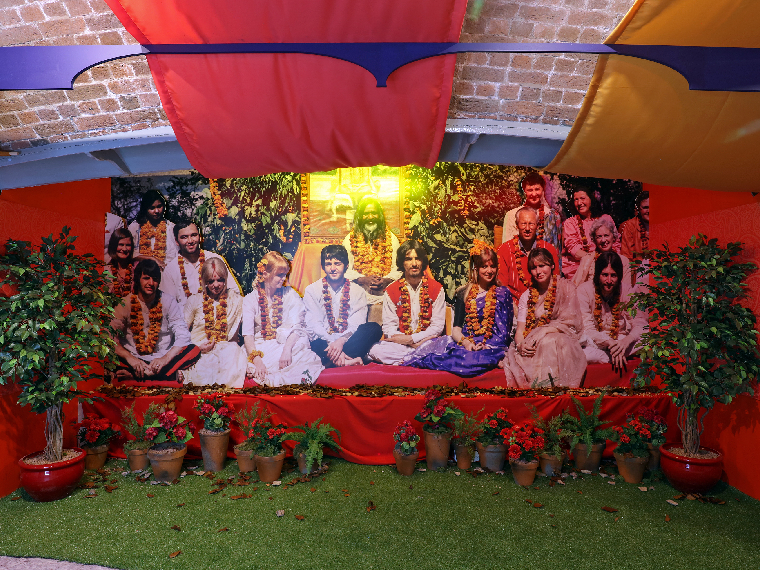 In 1968, The Beatles visited Rishikesh to meet Maharishi Mahesh Yogi and discover the art of Transcendental Meditation following the death of their manager, Brian Epstein. The ashram they stayed in is still standing and has recently reopened as a Beatles tourist destination. 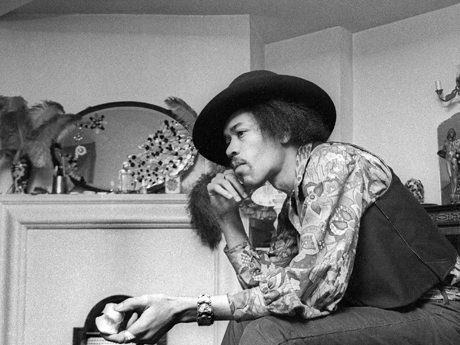 The trip was said to have been pivotal in The Beatles song writing from then on and was inspiration for a lot of ‘The White Album’. The list of Beatles landmarks is endless, Austria, the snowy destination for ‘Help!’ and Cuba, Montreal, Hong Kong and Peru to name a few others, all paying homage to the Fab Four’s legacy. 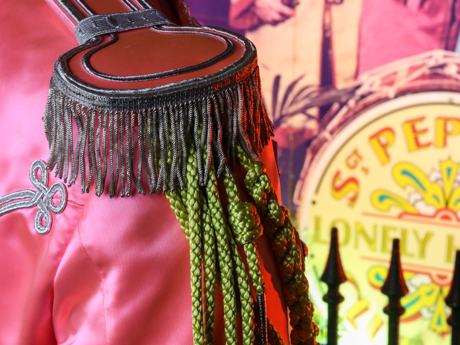 So 'grab a ticket to ride' or 'drive your car' and take 'a magical mystery tour' to discover the legacy of The Beatles. You’ll want to end up in Liverpool though, the magical place where four young lads met on a summer’s day in 1957 and changed the face of music forever. In Liverpool, the landmarks that are scattered across the city highlight just how much of an impact The Beatles had on this tiny corner of the globe. The Beatles Story on the famous Albert Dock is the initial port of call for experiencing first-hand the hysteria that The Beatles created. 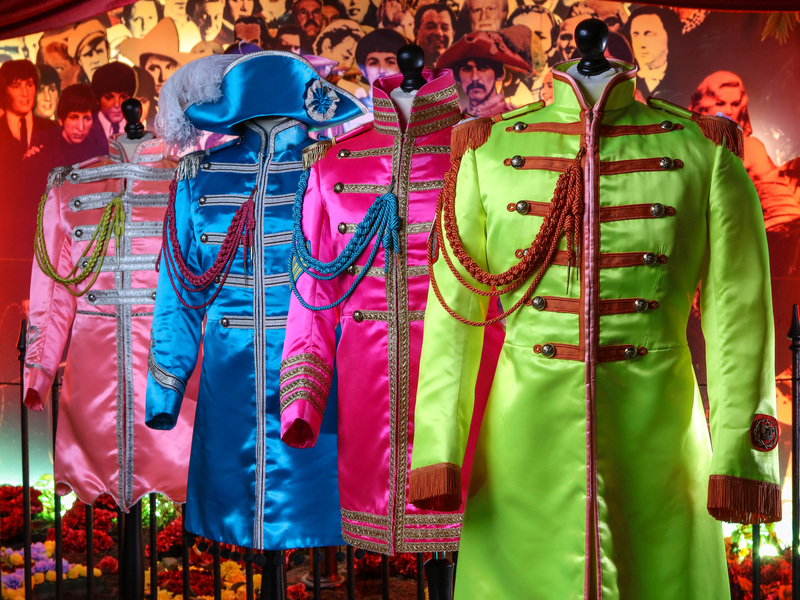 With hordes of memorabilia on display and recreations of places from their career, from Hamburg to an exact recreation of The Cavern Club and the emotional finale in the White Room; embarking on this story of the band that changed the world is like walking through a piece of musical history. It’s a perfect opportunity to don your favourite Beatles t-shirt and relive the glory days of music’s greatest band. The first place John took me to after we got together was - guess where - Liverpool! He was proud of the city he was born in and grew up in. Part of me is always there. Stepping outside, The Magical Mystery Tour bus will transport you to where it all began. Visit the childhood homes of the famous four, see the Strawberry Field gates that inspired ‘Strawberry Fields Forever’ and ‘stop and say hello’ to other Beatles fans walking down Penny Lane. 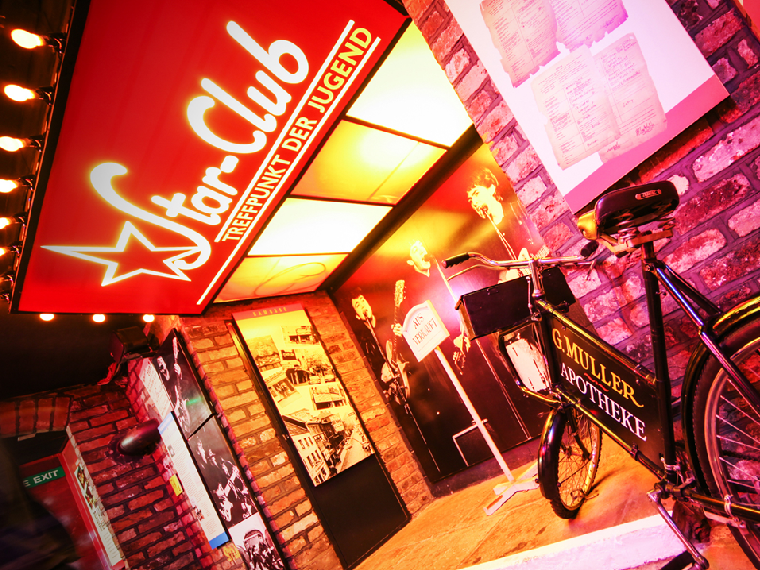 A trip to Liverpool isn’t complete without a visit to The Cavern – the most famous club in the world. If walls could talk then you’d want to have a conversation with these ones. Dance the night away like it’s 1963 to a Beatles tribute act or listen to another local band that could be destined for global fame... you never know in this city. There are also plenty of photo opportunities to snap a picture of yourself with The Beatles (sadly not the real ones). Stroll down to The Pier Head where larger than life-sized bronze statues of the Fab Four are waiting for you to ‘come together’ for the photo album of your trip to Liverpool. It is easy to see why TripAdvisor has voted Liverpool as the third best place to visit in the UK in 2018; it’s ‘proper boss’ as the locals would say. Sophie is Social Media and Marketing Intern at The Beatles Story, currently studying a Masters degree in Mass Communications.